Pulido’s Custom Jewelry can design and manufacture a custom piece of jewelry just for you. 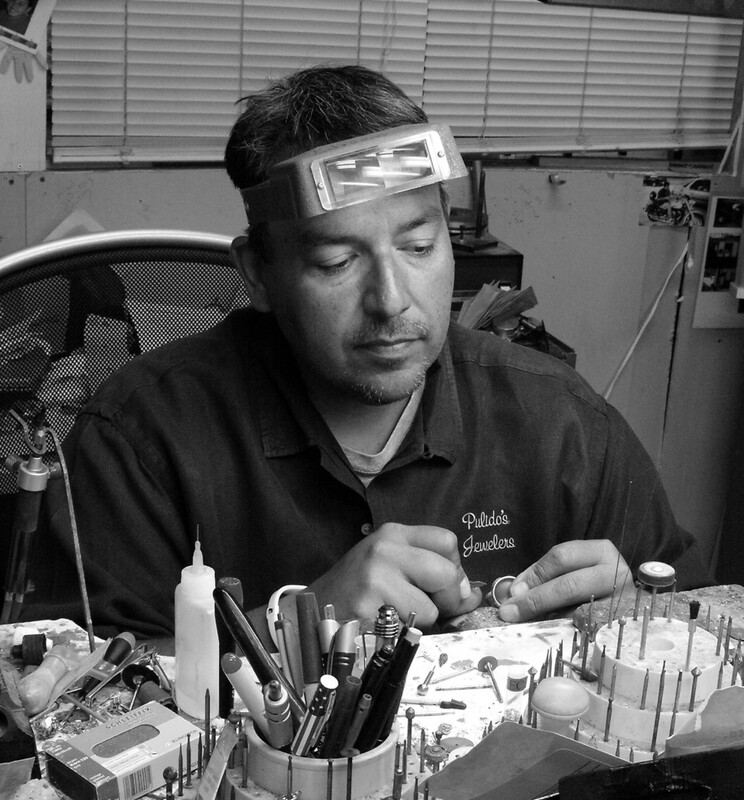 Eliseo Pulido has years of experience designing and building custom pieces of fine jewelry for the Dallas-Fort Worth Metroplex area. The staff at Pulido’s Jewelers repair and service watches including Rolex, Seiko, Citizen, and other brands. Our service staff can replace batteries, bands, crystals, and repair family heirlooms back to working condition. We also repair jewelry, resize rings, and set diamonds.